The Plymouth Rock is one of Americas’ oldest breeds. It was the hen that was seen from coast to coast before the end of World War 2 and it became the nation’s main source of chicken meat and eggs. 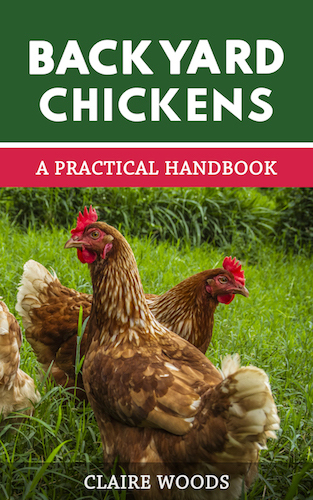 As a dual purpose hen it excelled in good quality meat production as well as good egg production, the only hen that could rival it was the Rhode Island Red. Almost everyone used to keep them; it was encouraged by the Government as food was needed for the troops who were fighting across the seas and for the home front too. They were encouraged and embraced by thousands of people during this time, but sadly, after the War was finished, the chicken industry became highly mechanized and like so many other breeds the Plymouth Rock was cast aside as not productive enough. The Plymouth Rock was first seen in Massachusetts in 1849. No one is quite sure what happened to these original birds as they seem to have disappeared for around 20 years or so. The trail gets hot again in around 1869 when a Mr Upham of Worcester, Massachusetts was breeding with barred males and Java hens. It’s claimed he was trying to breed selectively for barred plumage and clean legs. It’s now thought that these birds are the likely ancestors of todays’ Plymouth Rock. 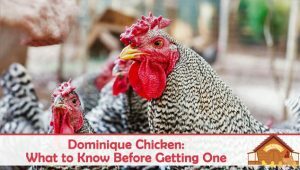 You may remember from our Dominique breed article that there was some confusion between the rose comb and single comb birds with both being called Dominiques at the time. The New York Poultry Society was determined to set the standard for the Dominique as rose combed. After 1870, all other birds with single combs became Plymouth Rocks by default. If you asked most folks what a Plymouth Rock hen’s plumage looked like they would say “black and white bars” which would be correct in as far as it goes. The barring between the sexes is slightly different. The males have equal black and white barring with each feather ending in a dark tip. Whereas females have black bars that are slightly wider than the white bars and this can sometimes give them a slightly darker greyish hue than the boys. There are several other varieties in the Plymouth Rock family as we shall see. 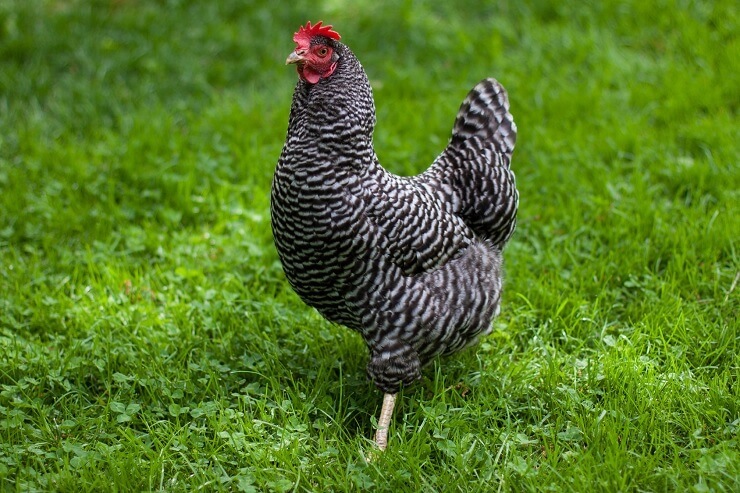 The barred Plymouth Rock is the oldest and best known of the Plymouth Rock family. 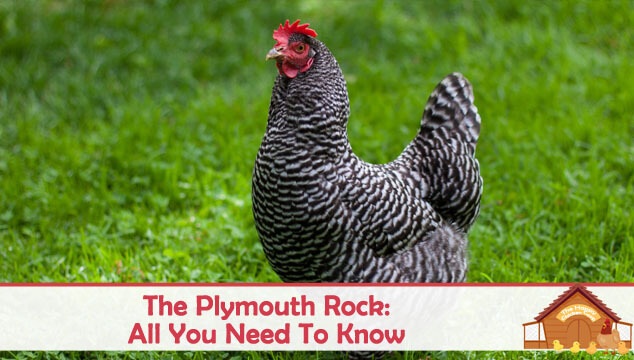 In fact, it is probably iconic in American culture, so in this article we will describe the barred Plymouth Rock member of the family. It has a large, sturdy triangular shaped body with a full breast and a long, broad back. Feathers are full, loose and very soft especially on the abdomen area. The barring pattern should be sharply defined black and white, unlike the Dominique which is much ‘fuzzier’ and leans towards grey. Skin and legs are yellow and their legs are clean, with four toes to each foot. Their ear lobes, comb and wattles should all be red as is the face, the beak is horn colored and the eyes a reddish bay. Finally their comb should be single with 5 points. 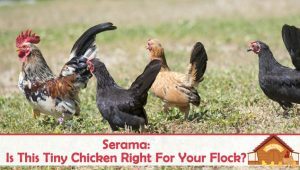 A standard sized hen will weigh about 7½lbs, with roosters up to 9½lbs. There is a bantam variety and their weights are 2.5lbs for females and 3.0lbs for males. All are rare except the barred and the white. The Poultry Club of Great Britain recognizes only 5 varieties (Barred, Black, Buff, Colombian and White), while the European Association of Poultry recognizes 10 varieties. The APA classifies the breed as American while the PCGB classify it as soft feather and heavy. Plymouth Rocks are very respectable layers of large brown eggs. They average around 200 eggs per year which equates to roughly 4 eggs per week. They lay well for the first couple of years but around year 3 a slow decline in productivity starts. However, hens have been known to lay into their 10th year! 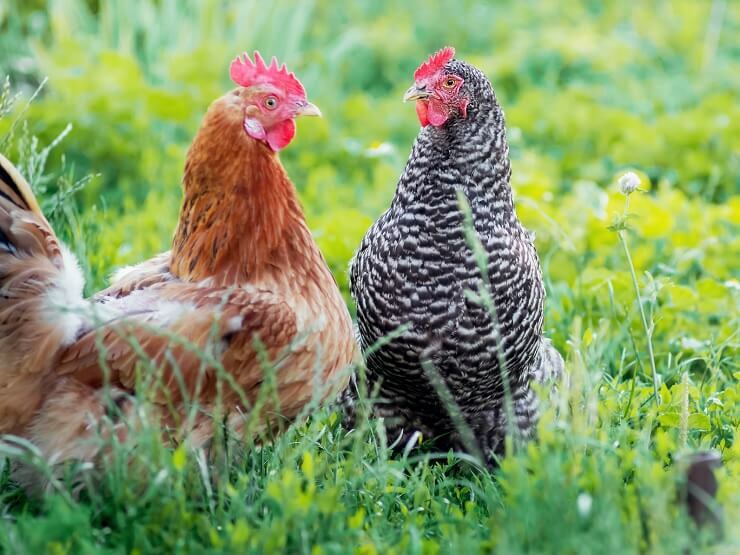 In terms of broodiness, they aren’t known for it, but it can actively be encouraged in this breed with the hens usually being good sitters and great moms. The chicks are quick to feather out and mature and by 8-12 weeks of age they can be considered as broilers if desired. In terms of their temperament, Barred Rocks are mellow birds. They are not known for bad attitudes or picking at flock mates, they seem to get along with everyone. They are described by their owners as sweet, calm and docile – even the roosters! They are always curious and they love to check out their environment and will follow you around to see what you are up to or if there are any treats to be had. Rocks much prefer to free range and find tasty morsels in the yard, but they do tolerate confinement well if given enough space. Once you have established your relationship, this is a very trusting hen and is great with the family and children. Plymouth Rocks are a healthy, sturdy breed. They aren’t bothered by any particular ailments except the usual array of parasites. The roosters do have large combs and wattles so they may need some attention to those areas in bitterly cold weather. They have a good genetic pool and so they are usually healthy, long lived birds which if cared for can live for 10-12 years. Exceptional birds have lived up to 20 years! Is The Plymouth Rock Chicken Right For You? If you are looking for a breed that is suitable for a family setting, this could be your bird. Barred Rocks are known for being friendly towards children and adults. They do enjoy a cuddle and a fuss and many become lap chickens! They are poor flyers, so you don’t need to have a huge fence around their enclosure to keep them in as they are unlikely to go and investigate the neighbors’ yard unless they can walk there. 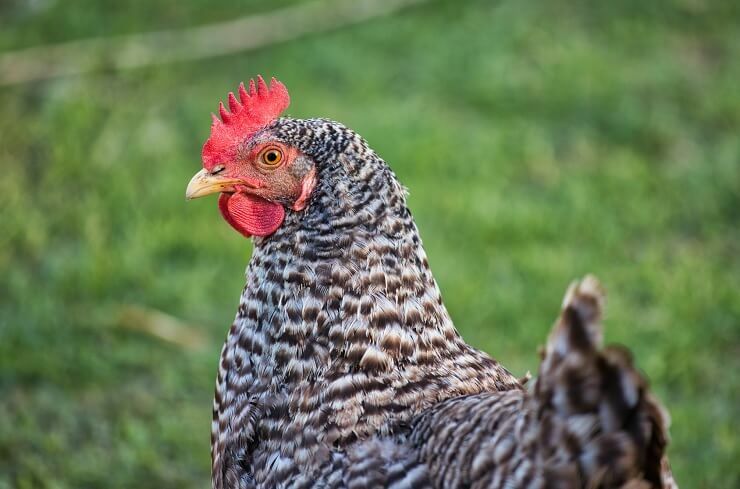 Speaking of neighbors – the Barred Rock is said to be a quiet but talkative chicken. Of course it does have the usual chicken vocabulary including the egg song, but the Barred Rock tends to ‘whisper’ rather than ‘shout’ across the yard. That should keep the neighbors happier. They are very easy going, not difficult to care for which makes them a good choice for first time chicken folks. Plymouth Rocks are very tolerant of poor management practices although ideally they won’t need to be. If treated and cared for well they can virtually raise them-selves! Their mellow temperament also makes them a good choice for 4H projects and also the exhibition arena where they usually do very well. The Barred Rock has a long and distinguished history even though the origins are a bit murky. Unfortunately after the 2nd World War, it decline in popularity and made its way to the American Livestock Breed Conservancy list, where it is currently listed as recovering. 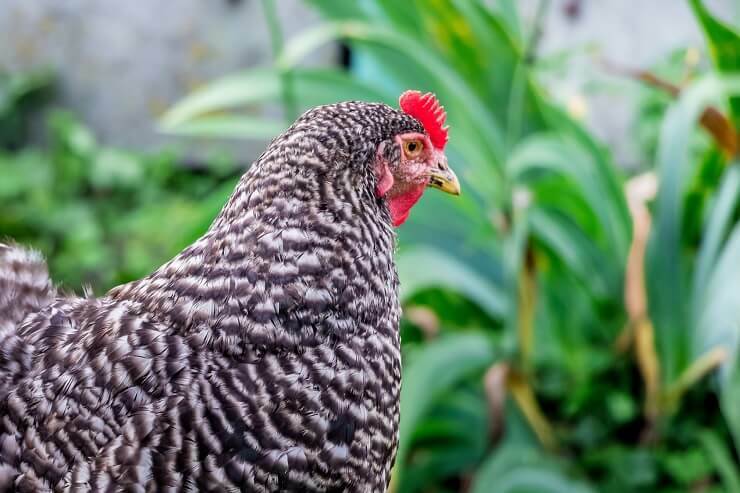 The recovery is likely due to a renewed interest in backyard chickens, especially dual purpose breeds than can fit well into almost any circumstance. Exhibition: These birds are all about conformation and plumage. Often productivity will suffer. Industrial Production: High volume producers bred for the poultry industry, not suitable for 4H purposes. Old Dual Purpose: These are the hens that Grandma had. Dependable for eggs and meat. Long lived and amiable, requiring minimal care. They fit well into just about any scenario you can think of. As backyard birds they do great; they tolerate confinement or free ranging, do not require any special treatments and are chatty and friendly. Egg production is very respectable and as a meat bird they dress out nicely to a good weight. What more could you ask of your chickens? My barred rocks are my worst offenders for flying up and over my 6′ fence, so I would have to disagree that they are poor flyers. I also have Amberlinks, an Isa Brown, Calico Princesses and Production Reds — none of them fly as high. Guess I have super chickens <3. All of mine have great temperaments. I agree with Kari they are great fliers up and over a 6 foot fence into the neighbors yard, then up and back over for dinner and bed. they are very friendly and trusting. My BR are aggressive toward flock members, bullying my EE to the point the EE hid in the nesting area and lost weight. I tried various separation therapies without any luck. Finally applied peepers to the most aggressive of the 2. It has helped but my EE hasn’t laid an egg in seven months. I think I’m going to have to rehome the BR. My barred rocks are coop jumpers, too! Great chickens, though. They are friendly, curious, and follow me around while free ranging, mainly because they know I’ll throw them an extra treat from time to time. It is fun to spoil them a bit. We started our flock with two Red Rock Chicks. We were told that they are the mix of a Rhode Island Red Rooster and a Plymouth Rock Hen. They are both red in color, although after molting one has yellow tips on some of her feathers. They are both funny little ladies. Very curious and tolerant being held. And great egg layers! We’re getting an egg daily from one, and at least 4 a week from the other. I love my barred rock, she loves to be picked up and she always tells me about her day when I come home! how old are they when they start laying? Previously, we had Rhode Island Reds and Buff Orpingtons raised from chicks. Those chickens were good layers, but very noisy and plucked feathers from each other. Now, we have a flock of 5 Barred Rocks purchased as pullets. All around, we are very pleased with our choice. They are great layers. They seem slightly smarter than their predecessors (eg. staying in the coop during a rainstorm). They are much happier and don’t pluck feathers. They are quieter. We found they are not lap chickens, but that may be true of most chickens that are not raised and handled as chicks. I incubated twenty (20) eggs bought on line and only one hatched. I had issues with controlling humidity in the incubator which might have attributed to the low hatch rate. The one egg which hatched was a Barred Rock hen. She is a very sweet-tempered pet which is quite attached to me. She has started laying a few weeks ago (22 weeks when she started) She is really delightful to be around and likes to eat out of my hands. I have not regretted the purchase. I love my barred rocks. Both rooster and hens hang around whenever we are outside and follow us around. I love the attention and the talk. He is the best rooster taking care of his hens and protecting them. My Barred Rock, aged approximately 13 months, has yet to lay an egg! She seems perfectly healthy, fat, strutting around. Any ideas? I have 3 Barred Rocks, 3 Rhode island and they just started laying 2 days ago. I’m pretty sure it was one of the reds because I saw her checking out the nesting box. Will they lay about the same time every day, or it will vary? Do I just catch them at the right time to see which one is laying? I love, love, love my barred rock hen and she loves me. She jumps in my lap and takes a nap. As a layer she is also great. I entered her eggs in an egg show and she got first place. She is three now and the egg production has dropped off but she is my buddy. This spring I got three more babies but no chicken can compare to Ellen DeHeneres!